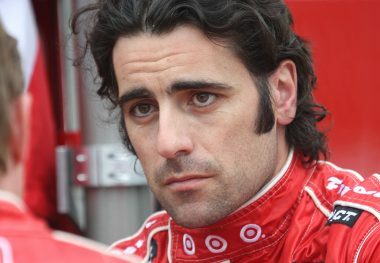 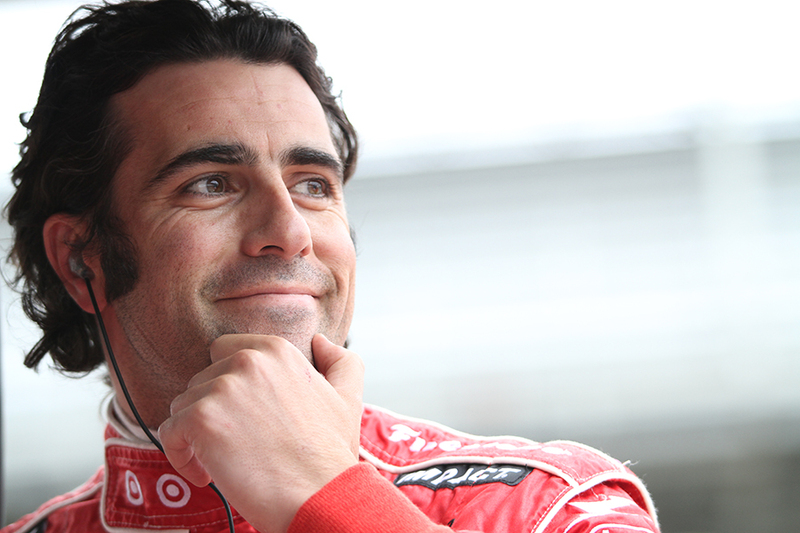 DARIO FRANCHITTI, a Scotsman of Italian heritage, won the Indianapolis 500 three times and came within a single point of claiming the Indy Car championship five times. 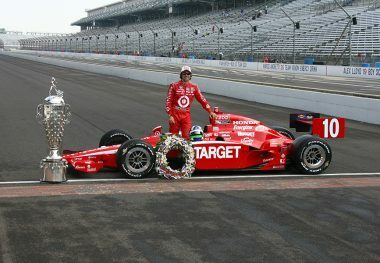 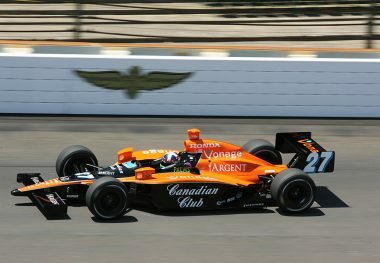 Prior to his first title in 2007, plus the three which followed in the consecutive years, 2009-11, he had suffered the crushing blow in 1999 of having equaled the point score of Juan Pablo Montoya, only to be awarded second ranking after a tie-breaker based on the number of wins during that season. 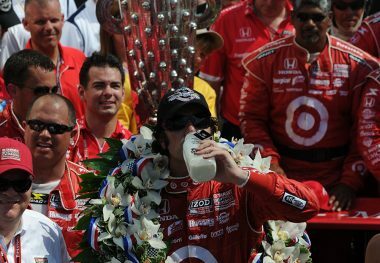 He backed up his Indianapolis 500 victories of 2007 and 2010, with another in 2012, making him only the tenth person ever to have won the “500” at least three times. 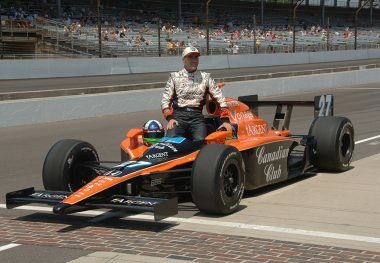 He amassed a total of 89 podium finishes in Indy Car events between 1998 and 2013, including 31 wins, of which 16 were recorded on oval tracks and 15 on road courses. 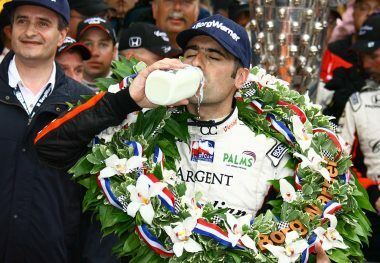 He shared the winning car in the 2008 Daytona 24-Hours with Montoya, Scott Pruett and Memo Rojas, and shared second overall, plus the LMP2 class victory in the 2007 Sebring 12-Hours with Tony Kanaan and Bryan Herta. 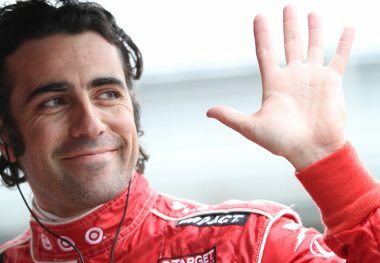 Following serious injuries in an accident at Houston in the next to last Indy Car race of 2013, he heeded the advice from doctors and announced his retirement. 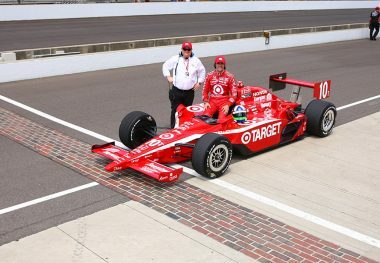 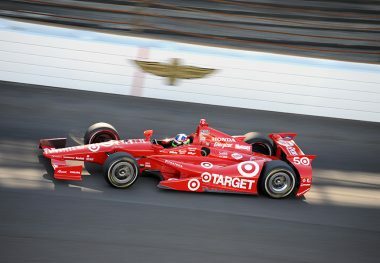 He currently serves in an advisory capacity for Chip Ganassi’s racing teams. 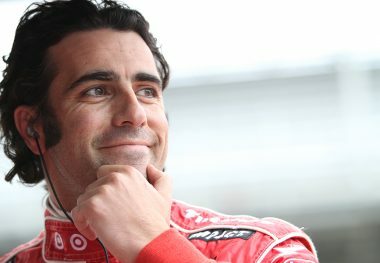 In 2009, he was awarded a British Racing Drivers Club Gold Star, and in 2013 received one of the United Kingdom’s highest honors by being named a Member of the Most Excellent Order of the British Empire.